Finally have found something to agree with him on, he doesn't come clean but the gist is that we can have access to the single market without having free movement. Jezza's power base shouldn't trouble the dreadful Mrs May. By all accounts Jezza got the better of the PM today over her support for expanding Grammar schools. 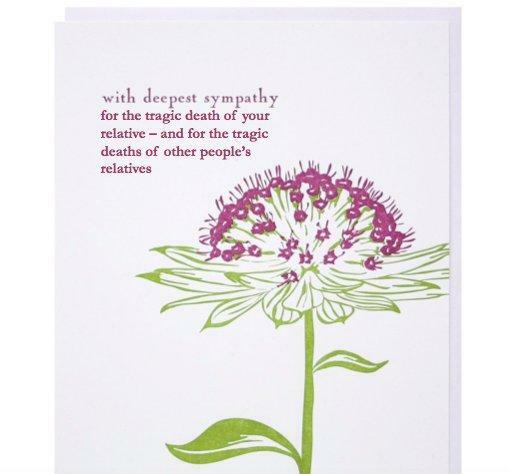 I see he's branched out into condolences cards. In passing I see that someone has got hold of an internal Labour Party investigation into infiltration by Momentum in Liverpool. Thank goodness nothing like this is going on in Dover and Deal! Looking certain that he will still be holding the reins after conference and then the purges will start in the constituencies. What will happen locally though, the women only list must be consigned to the dustbin after last time? Favourite to be candidate must be Peter Wallace but maybe headquarters will parachute a Corbyn devotee in. The battle for the soul of the party goes on and even though I have no time for either of these I think Campbell is right on this one. Jezza needs to start listening to the British white working class that have abandoned the minority immigrant-run labour party. I've actually given up buying other 'newspapers'. Too few proper journalists and the signal to noise ratio all wrong. I seem to remember Corbyn on News 24 yesterday admitting that the EU is a failed economic model, something he has said all his career until some months ago. Considering his disciples are pro EU this could affect his messiah position. Looks like the Tories will have a free run for the foreseeable future. Just been announced that Claire Jeffrey who is the only Labour councillor in Shepway has defected to the Conservatives due to Corbyn being re-elected , citing the rise in anti semitism with him in charge. Cllr Jeffrey with her new friends. I have read that report with great interest.I don't believe in crossing the floor you have to resign and start again which I did In 1998 .I was a Liberal Councillor for eleven years however I decided that the Liberal group at DDC were drifting more to Labour and not standing on the middle ground so I resigned.I took a year out and was elected as a Conservative Councillor with an increased majority in1999and held the seat for sixteen years until I retired. Looking at the "Jeremy Corbyn for PM" Facebook page it seems that you need to have Tourette's Syndrome to fit in there. Not a wise move to force a snap General Election. awwwww howard don't spoil the fun. GE 2015 was a referendum. Tories romped home as the only party that could possibly form a government AND give the referendum the nation wanted. The BREXIT referendum was therefore the second referendum. The vote to LEAVE has been endorsed twice - whether we like it or not, it has been ratified. A new general election will simply be a case of which version of BREXIT the electorate want. I agree with Jezza for a change in that the PM doesn't really have a clue what she expects will happen when the negotiations start. Members of her own cabinet as well as party are trying to influence her and she is trying to look in charge. Her biggest fear at the moment is more MPs resigning and causing by-elections so she might be best off by calling a snap election which would deliver her a majority of anti EU MPs.